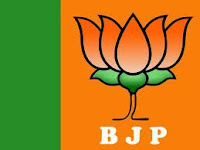 Manipur Election 2012 BJP Candidates Name List: Central Election Committee of the Bharatiya Janata Party met today under the Presidentship of Shri Nitin Gadkari. Meeting was attended by Shri L.K. Advani, Chairman, BJP Parliamentary Party, Smt. Sushma Swaraj, Leader of Opposition (Lok Sabha), Shri Arun Jaitley, Leader of Opposition (Rajya Sabha) and all the members of the Central Election Committee of the BJP. The committee has decided the following names for the ensuing General Elections for the Legislative Assembly of Manipur.